On a recent spring trip to Italy, I found myself in a small town outside of Rome and the stars in the heavens were aligned in my favor. It was a constellation of circumstance lined up like Orion's belt. I had a rental car, my husband, who was willing to drive the Italian roadway, and the realization that we were about 40 minutes or so from Tivoli, home of the masterpiece Renaissance garden: Villa D'Este. Like the Palace at Versailles, this Italian garden had profound influence on gardens worldwide. We even had GPS, although that took us to a street that dead ended on a grassy road in front of a stone over pass. We were close to the Villa, according to a local, but after several attempts through narrow streets, rough roads and limited signage, we took her advice and parked, then walked up through the town to the Villa. in the Italian country side. I had no idea what to expect at the Villa D'Este, but I was excited because I knew it was a must see garden. The courtyard was a peaceful spot where I rested for a short time before entering the villa. I think I only stayed inside the Villa for a few minutes before finding this terrace. and the country side. We stayed here for a while taking it all in. sunny, yellow tulips reflecting in the water of two back-to-back ponds. If you love a garden with fountains (and who doesn't? ), then Villa D'Este is a good one to see. There are 500 fountains in this garden (what? ), which is built on two steep slopes and terraces down from the Villa. I'm thinking it must have been a hydraulic engineering nightmare in the 16th century, but I'm not surprised they pulled it off. I have no idea if I saw 500 fountains, but this one is the show stopper. (It is actually a combination of two: the Water Organ fountain and the Neptune fountain.) It is about 80 feet tall and the sound of water is loud. I do know it will certainly be a fountain I won't forget. 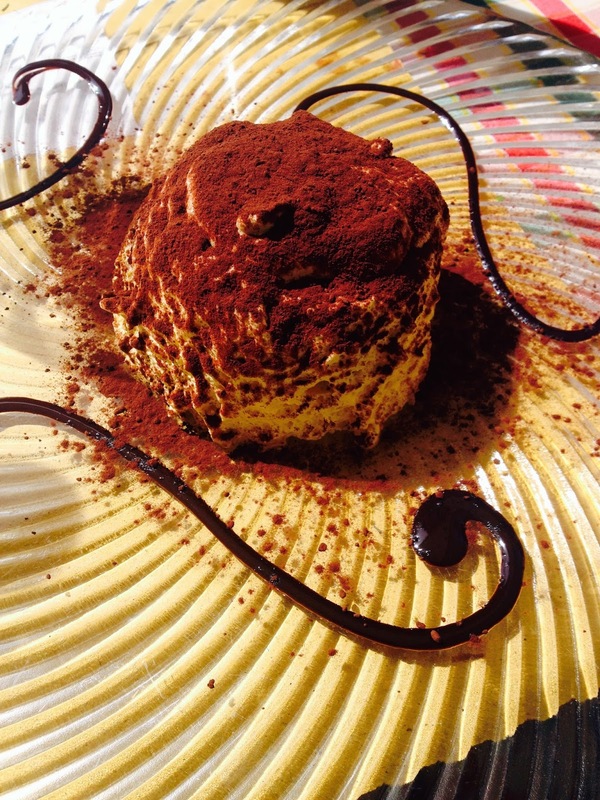 the best tiramisu ever, found at a restaurant we stopped at while walking back to our car. Wow! We've always wanted to visit this most spectacular garden. So lucky you were able to. Thanks for sharing photos of this stunning garden! The GPS knew what it was doing when it forced you to walk through the village. What a fabulous visit. The gardens are breathtaking, and, like you, I can't imagine how they managed to get those fountains flowing in the 16th century! Everywhere I have been in Italy and everything we ate was amazing...so lucky you got to see this amazing garden...I hope to visit it as well some day!! Thanks for sharing it and your dessert...me I go for dark chocolate gelato...mmmmmm!! 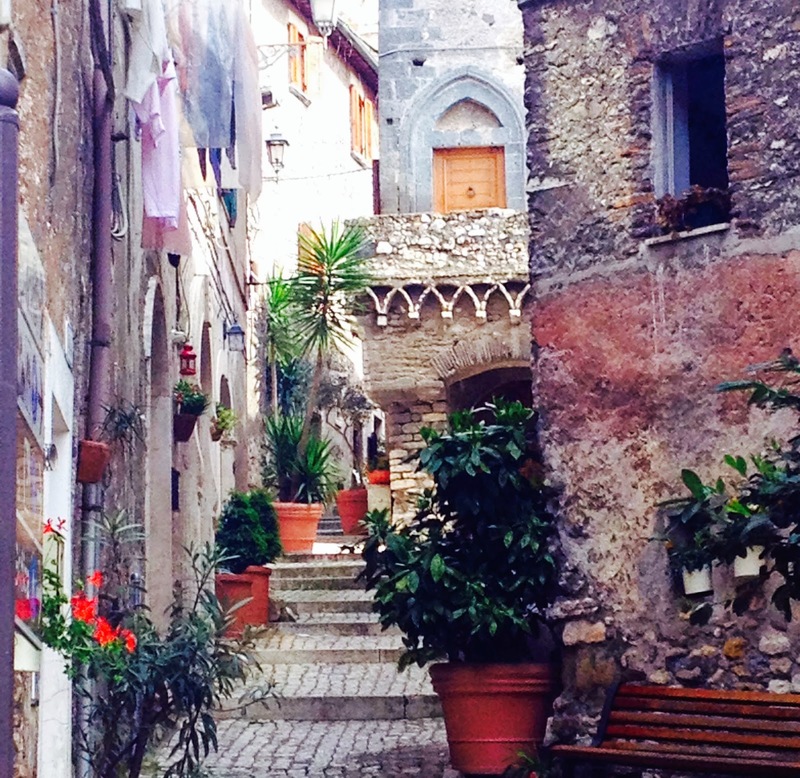 Hi Jeannine, I am so happy for you that you got to do this trip to Italy with your husband! Villa D'Este is such an amazingly beautiful garden and you captured its spirit perfectly. It always impresses me when someone goes all the way out and creates something truly stunning and unforgettable. And the tiramisu, oh well, I could even eat that for breakfast. Wishing you a nice week!